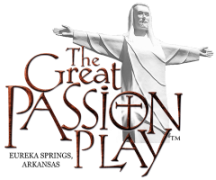 The souvenir program also includes presence on our playbill that is handed out to those seeing the Passion Play. Our previous program is at the bottom of the page. Click here to see 2016 brochure sample.